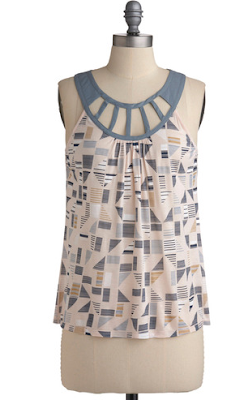 Really like the geometric print of this top, and really, really love the cut out collar! It has a bit of an art deco vibe, kind of Great Gatsby in the summer to me. 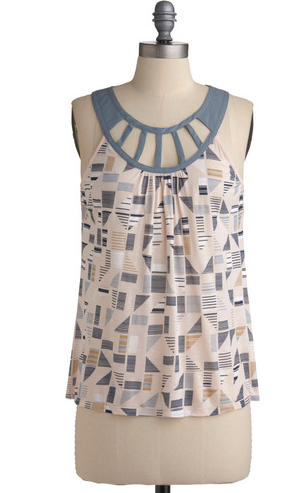 Buy at ModCloth for $45.